Learners Skipping Classroom Trainings? Try Digital Learning! The classroom is still the king of corporate training. Despite the best efforts going into training and development, training personnel continue to deal with employees who like to play truant, when it comes to attending classroom training programs. The reasons for not attending classroom training programs may be endless, right from too much work, to boring topics. It is easy for training managers to assume that employees simply do not care. But the question is, why do they not care? Introducing digital learning at the workplace is a great way to get your employees interested in attending classroom training programs. Here are some ways that you can use to improve attendance in classroom training programs. You could give the BYOD (Bring Your Own Device) policy for classroom trainings a shot. With a BYOD policy in place, learners are encouraged to bring their mobile devices to the classroom training program. A survey by Bank of America revealed that 85% of Americans check their smartphones at least a few times in a day. 13% of the respondents said that they could not last more than an hour without checking their phone. Why keep learners away from their mobile devices? Have them hook-up their mobile devices to the office network and look up interesting information on the training topic. Build interest in your classroom training by promoting the BYOD policy. Learners would love a chance to use their mobile devices as a learning aid during classroom training. Flipped classrooms offer an interesting change from the routine classroom training programs. A recent study by the Research and Analytics team at Colorado State University Online found that flipping the classroom improves student participation and attendance rates. In a flipped training program, you could have learners complete a training of the basic concepts online, and then come to the classroom to have a discussion of the same. The time available for classroom training, can be converted to a discussion session or workshop, where the instructor takes on the role of a mentor or facilitator. Flipped classrooms foster critical thinking. For example, a flipped classroom training on compliance, requires learners to go through scenarios or videos at their own pace, and then have an active discussion on the importance of compliance in the classroom training. 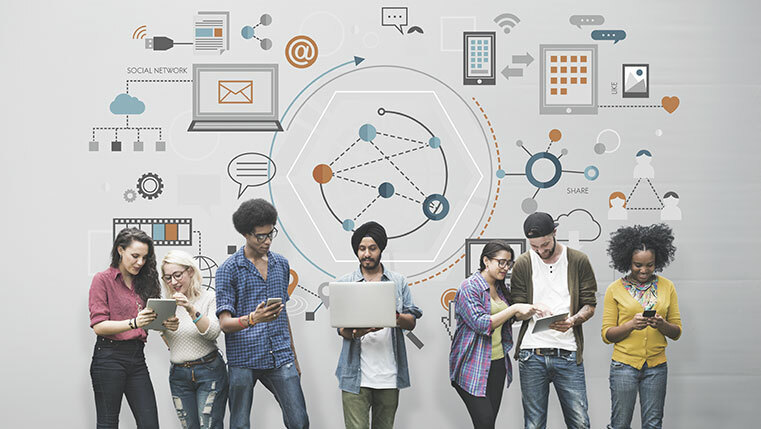 Digital learning has paved the way for a connected classroom, which offers a learning environment that is connected to the outside world. Learners in different geographical locations can interact through a connected classroom. Simple tools such as Google Hangout and Skype can be used to facilitate interaction. Other ways to implement connected classrooms is through study groups and social networks. Connected classrooms use technology, to transform classrooms into a space where knowledge is transferred, not only with participants in the classroom, but also with participants from locations across the globe. Using virtual reality in classroom training is a wonderful way to generate interest in the training program. This form of digital learning technology provides an immersive, and interactive experience to learners. VR offers a simulated environment of the real-life scenario, where learners can make mistakes without the fear of serious repercussions. For example, if you have to provide a safety training to employees on the ways to handle a hazardous chemical, you can do so in a simulated training environment. The learner gets to see what happens if he/she does not follow safety rules. Earlier, employees had to perfect their knowledge on-the-job and this did result in some costly mistakes, as they had to learn by trial and error. If you had a classroom training program, to train employees on operating heavy machinery, you can give them the steps to operate the machine, but the actual learning will happen only when they start operating the machine. Try a classroom training that implements VR, to let learners practice operating the machinery, in a simulated environment. As digital learning and technology matures, augmented reality offers exciting possibilities in corporate training. AR allows computer-generated images, data, and information to be superimposed on real objects or surroundings. Wearable technology such as Google Glass can take classroom training programs to the next level. For example, if you are training employees to complete a sales transaction on the company’s new POS system, learners can use Google Glass to operate a virtual cash register and interact with virtual customers. This would have otherwise been possible, only on the shop floor. Volkswagen uses AR for comparing calculated and actual crash test imagery. Employees can use AR to visualize the car body structure and engine layout. Combining technology with learning to provide a digital learning experience in classroom training programs, is sure to bring learners to the classroom. Digital learning not only facilitates sticky learning, it also makes learners flock to your classroom training programs. Have you tried implementing digital learning in your classroom training program? If yes, do share your experience through the Comments section.